These goofy, well-dressed kids pose in front of a red wall at Prophecy Creek Park in Ambler, PA. 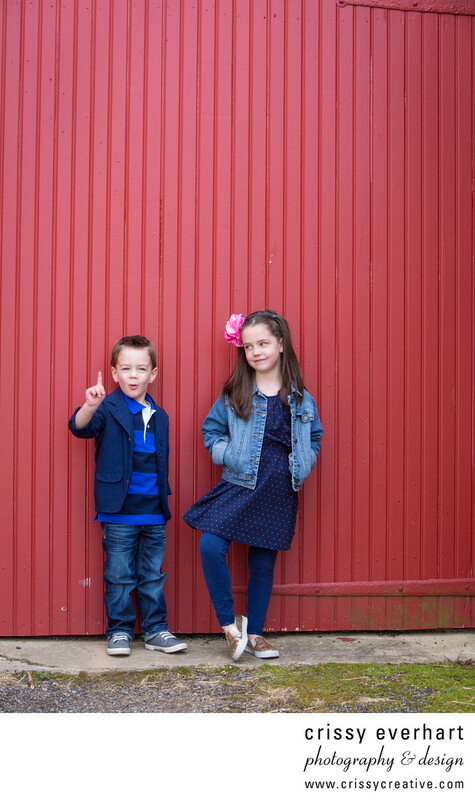 The boy is holding up one finger and making a silly face while his sister, posing on one leg with the other bent, smiles at his antics. Capturing the personalities of kids this age is the most fun part of my job- they change so fast, and it's great to remember these antics when they are all grown up.